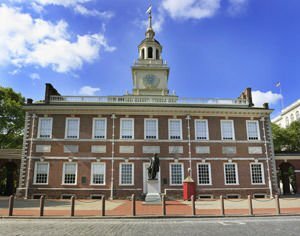 The declaration of Independence was adopted and signed in 1776 in a beautiful building in Philadelphia where in 1787 was accepted and signed the U.S. Constitution. This building is known as Independence Hall. The universal principles of freedom and democracy set forth in these historical documents are critical to America's history and guide to legislators from all over the world. These documents become a model for many other nations and can rightly be called the bearers of the new home of government and statehood. 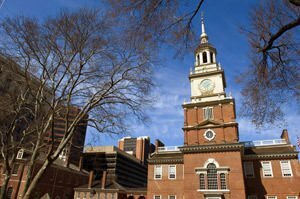 Independence Hall is considered one of the most valuable historical heritage sites of the United States. The Liberty Bell was cast in 1752 in England, at the same place where Big Ben had been cast, and the bells of the Washington National Cathedral. According to historical data, the Pennsylvania Assembly commissioned the Liberty Bell in 1751 to commemorate the fiftieth anniversary of the political and religious freedom of the state. On the bell is written a quote from the Bible: "redistribute throughout the land to all its inhabitants." Liberty Bell was to be hung in the clock tower. The building was later renamed Independence Building. The Bell received its name from the ambitious young people who adopted it as their symbol in the nineteenth century. Soon after his arrival in Philadelphia, the Liberty Bell is cracked and had to be re-cast from the original metal by local craftsmen in 1753. Even this cast bell cracked and what tourists see today is the third version of the original bell. Long use caused a crack in the third bell, and it should be corrected because it caused the bell to sound terrible issue. In February 1846 the bell was repaired for the birthday of George Washington. On it are still visible traces of metal which filled the crack. The building of the Province of Pennsylvania was launched in 1732. That is the building that today is known as the Independence Hall. It was built under the project of the famous architect Edmund Woolley. He was helped by his lawyer, known throughout Philadelphia - Andrew Hamilton. This lawyer is considered the designer of the Independence Hall, but in practice it is not - he was just supervisor of construction of the building. It is a brick building in the Gregorian style, with a high wooden tower, which was finally completed in 1756. This tower is famous for its bell, donated in 1876 for an annual celebration. It repeats the shape of the bell of independence, but the original is in a separate building. The Independence Hall has been rebuilt several times, changing the overall appearance of the building. In 1950 the Office of National Park Service regained its kind that had the building in 1776. Much of the furniture in the Independence Hall is not authentic. In 1778 British troops occupied the building and used the furniture to make fires to warm themselves. Independence Hall is located in the middle of the forty-five acre Independence National Historical Park. 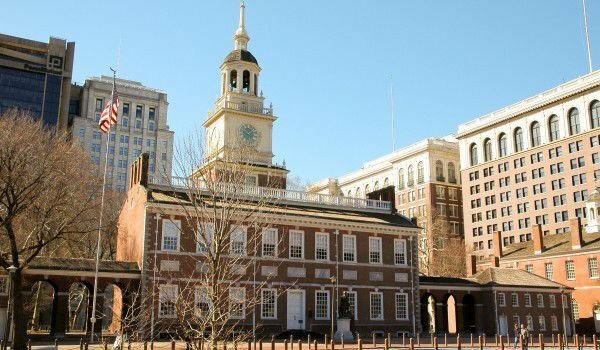 The Independence Hall can be visited free of charge.